The weekend was full of many wonderful things that I neglected to take photos of. I did manage to document my Christmas progress. The main feat was getting the tree up and completely decorated! 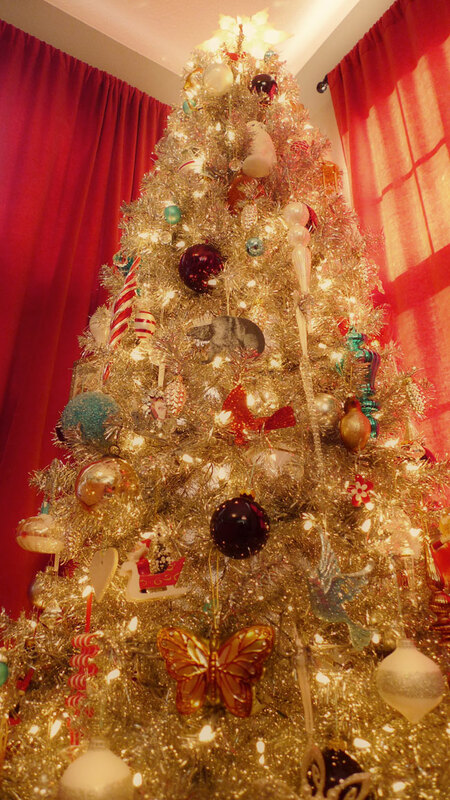 I have a silver tinsel tree, and I love it. It takes me forever... once the tree is assembled and fluffed in all it's glory, I separate the ornaments by color and style, then work on placement, moving them all over until I get it just right. 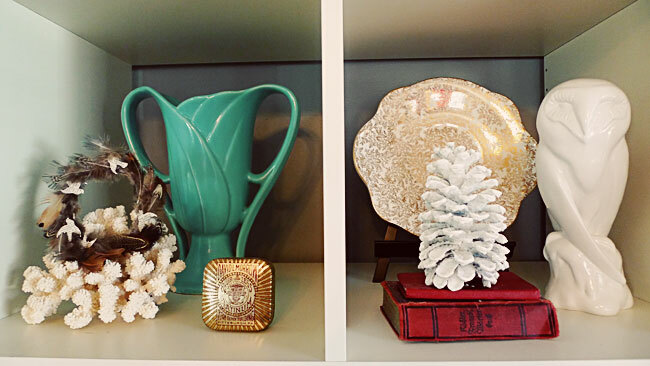 I added some Christmasy touches to my year round decor... a handful of candycanes in a vase, a beaded snowflakes leaning on a stack of books, a feathered wreath perched atop some coral, and a glittered pinecone in deep conversation with an owl. 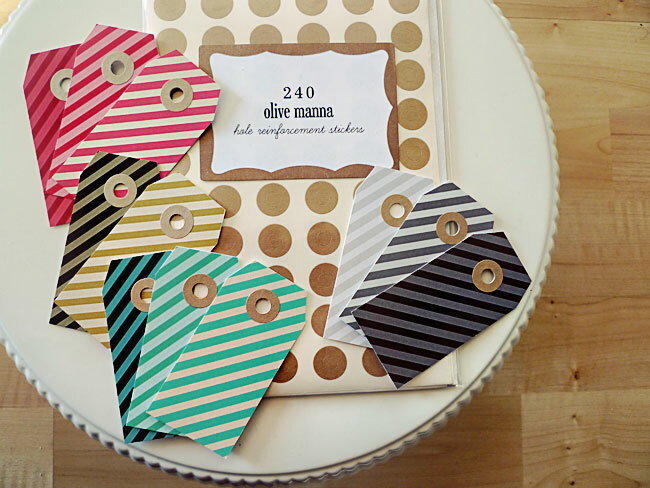 I almost finished preparing my Olive Manna gift tags, still have to string them. It's going to be a busy week. And I'm hosting a party for 50 guests on Saturday, guess I should do something about that. - catered food for a party, success! Thank you so much for catering the party! Everything was great! Still working on finding my camera battery charger... will you share your jalapeno dip recipe?